Meriter Hospital has been providing healthcare to the community on it Park Street campus in downtown Madison since 1903. Meriter is the fifth largest hospital in Wisconsin and employs over 3,400 staff. 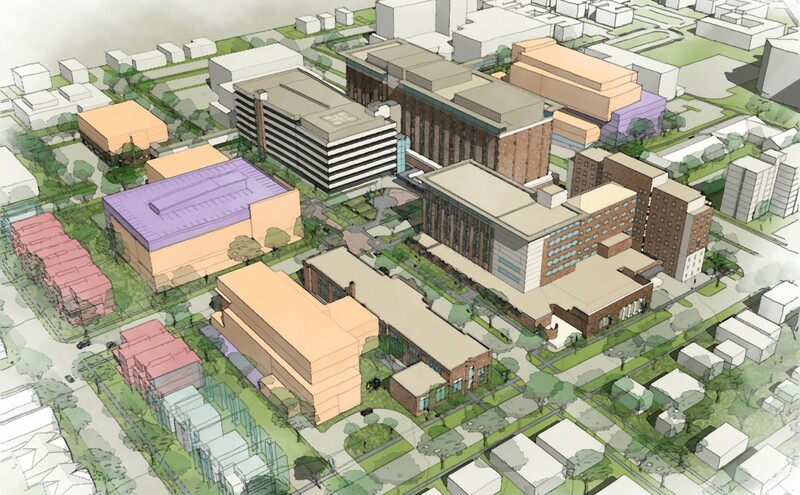 The Meriter Park Street Campus Master Plan is the most comprehensive planning project the hospital has ever undertaken. 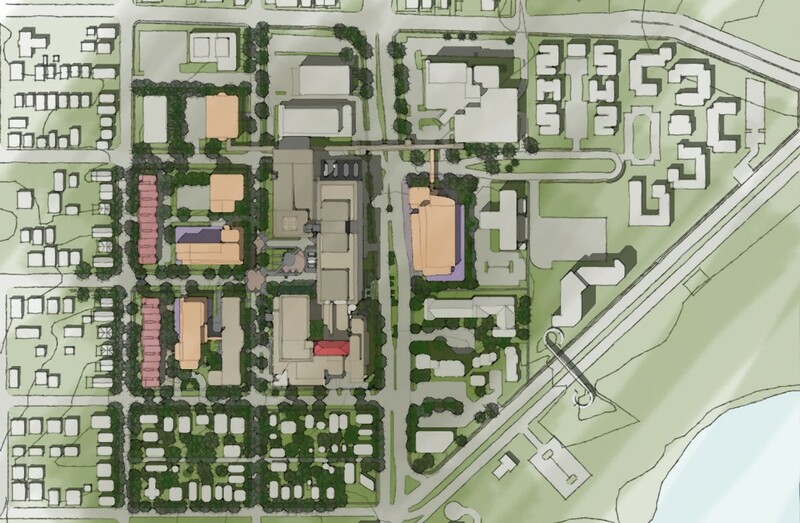 Although only designed to be a 10 year document, the plan creates a flexible framework that will provide a clear map to maintain the Park Campus as Meriter’s flagship diagnostic and treatment center. The plan for the campus creates a sense of place that reinforces the campus boundaries and encourages a more cohesive campus environment. Safety measures, streetscape elements, new landscape elements and ground level building activity including retail are designed to improve the urban pedestrian experience. Sustainable measures will include the replacement of the campus power plant as well as energy efficient construction and attention to storm water reduction measures. Additional medical office space will be planned for the surrounding sites as well as structured parking to handle the increase in patients, visitors and staff. Buffer zones are planned at the neighborhood boundaries with residential and mixed uses to allow the increased of density on the hospital sites. A traffic management plan is included in the study to reduce the amount of single car trips to the site. Potter Lawson worked with Meriter to facilitate neighborhood meetings and presentations and gain city approval. The final document will simplify future approvals with the city and neighborhood and guide the hospitals expansion over the next 30 years.